Austen Land: To Jane Austen with Love and Satire… Some of us, fans, can take a joke…Some cannot...! Hello. This is a Korean in America. I was lucky to catch Austen Land playing in my local multiplex recently. Even though the movie is only being released in limited theaters, there is an advantage to living in a college town. My experience with Jane Austen and her work is limited. My exposure is mainly through movie adaptation and BBC miniseries adaptations. I have read a few of her books such as “Sense and sensibility” or “Pride and prejudice”. So you can say that I was and am a casual fan. I viewed her work as a piece of the British TV and cinema experience and not as a separate thing on its own. However, I got interested with her fans and the fandom in general after seeing the movie “Jane Austen Book Club". I really liked the movie in how the fans interact with her work. It was fascinating how Jane Austen influenced modern romance and melodrama genres. Her characters and their dynamics, the basic plot structure of misunderstandings and problems with timing are all the basic tropes of any romantic comedy movie. For someone from Korea, where Jane Austen was never a household name but only whispered among a niche group of intellectual romantics, it was further surprising that K-drama was hugely influenced by Jane Austen’s work. Once I thought about it, this should not have been a surprise. Ever since the introduction of Hollywood movies, melodrama and romantic comedy movies from Hollywood was one of the major genres in Korea. I mean… Meg Ryan was huge in Korea during her heyday! She was a house hold name! While, in the U.S., these movies were categorized as “Chick flicks”, this was not the case in Korea. Even the male demographic loved these movies and went to them in droves alone without dates. For example, the primary movie genre of my father was and is romantic comedies. The reason for this is rather difficult to get a hand on. While action movies were popular, plot heavy movies were never that enjoyed in Korea. This is the same for Science fiction movies. It seems that Korean society loves the catharsis from a good emotional release as basic social life is relatively really stressful. It is said that Korean people bond over being envious of other people and crying together. At its core, Austen Land is a satire of the tropes developed from the Jane Austen’s work. The movie follows Jane Hayes played by the lovable Keri Russell as she spends her vacation at a Jane Austen theme retreat where the guests interact with actors playing characters that resembles Jane Austen character archetypes. And by interacting, I mean flirt since it seems that most of the guests are female which gives the retreat a trashy Chip N Dale Dancers vibe rolled up in Regency period garbs. This sense of trashiness is at the core of the satire. While the movie is set at a Jane Austen theme retreat, there is barely any direct reference towards Jane Austen at the retreat. No one discusses her work or her. I mean… you would expect people, who pay money to vacation at the theme place, would love to talk about the theme with other people of the same mind. However, there is nothing like that going on. For a matter of fact, it is only Keri Russell’s character who seems to actually love Jane Austen’s source material. The other two guests seem to be there because of the trashy and the camp of the period piece aesthetic. This is the same on the part of the employees at the retreat. While the setting and activities provided by the retreat are all out of Jane Austen’s novel, there does not seem to be affection regarding the material on the side of the people who work there. The actors employed by the retreat don’t really try to act like Jane Austen characters and just try to humor the trashy, horny, and lonely female guests in their regency attire. As a result, give off a soap opera actor vibe with one of characters actually being an off-season soap opera actor. However, the truth is that it is not actually that. The things is that the characters themselves are modern satire versions of Jane Austen’s character archetypes. More accurately they are character archetypes from the Jane Austen’s modern heirs. The movie, Austen Land, stick those character archetypes in Regency era costumes and make them try to badly act like Jane Austen’s character stereotypes. This is where the fun is at. This movie is funny! It makes fun of all the tropes of Jane Austen’s and her modern heirs’ works. It makes fun of the fans who are only really into the superficial romanticized aspects of Jane Austen’s works and not all of the social aspects and the portrayal of female life in Regency era England. 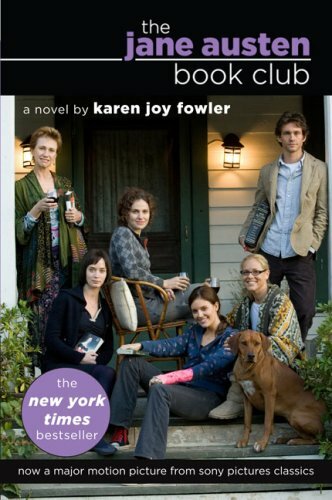 For example, Keri Russell’s character, who is the only fan there at the retreat, cannot really get into the activities portrayed in the books such as sowing and the social interactions. In the movie, the owner of the retreat played by Jane Seymour acts likes a snobbish upper class matriarch right out of the Jane Austen’s novels. She is judgmental towards Keri Russell’s character because she only paid for the basic package which can be seen as a reflection of class prejudice. While the movie makes fun of the current Jane Austen fandom, the movie is never mean. At no moment does it feel like this movie is made by people who do not have a great love of Jane Austen’s novels. As a matter of fact, you actually have to be at least a casual fan to get all the in-jokes about the source material and the romance genre itself. This is made for the fans who can laugh at themselves. At the end, this movie is not an Oscar contender or a serious feminist piece. However, it is a clever and funny movie for Jane Austen fans. It is trashy! The characters do silly things! And that is the fun of the movie. The trashiness and humor is so delicious that you cannot keep off the silly grin on your face while you are laughing. If you are a fan of Jane Austen and can take several funny jokes about the thing you love, this is a movie for you! I loved every minutes of it! one single sentence: I love that ! all times. I like the film-adaptons too, with Pride & Prejudice 1995 the best of all. I am one of the few male members of a Dutch Jane Austen forum. But not always as active as I would like to be. work at the airport, when it was very quiet between 1 and 4. Just for fun, and out of curiosity. Something that would last a few weeks, nothing more. And now, 4 years later, I have rarely watched anything else beside Korean drama's and movies. I am not for real hard horror, neither too sweet "flowerboy" -stuff. Middle of the road, kind of. Science-fiction I will not expect in Korean drama. But with the drama-part, I think the Korean drama-writers win from their Hollywood collegues. Like the Hong Sisters, how they are able to mix humor, suspense, magic,romance and drama at the same time is superior ! The basic line in Jane Austen is": Poor girl with independent character wins the heart of the man from a much higher class" . A lot of them can compete with film-adaptions of Jane Austen's books, drama-wise and because of the excellent acting of the Korean casts. I have been wondering many times how Jane Austen is valued in Korea. One of the old Canadian stories from the Canadian forum is " Anne of Green Gables", from 1908. I know that story is very popular in Japan, but also in Taiwan and Korea. There is a lot of "Pride and Prejudice" woven into that story ! I hope I added my 50 cents/won with this comment. And now I will start to imagine which Jane Austen-protagonist would fit Moon Geun Young best. Fanny Price in Mansfield Park ?